Looking for a quick and easy snack to make for your big game party? Or maybe you just want something to enjoy while watching the game at home with your family. 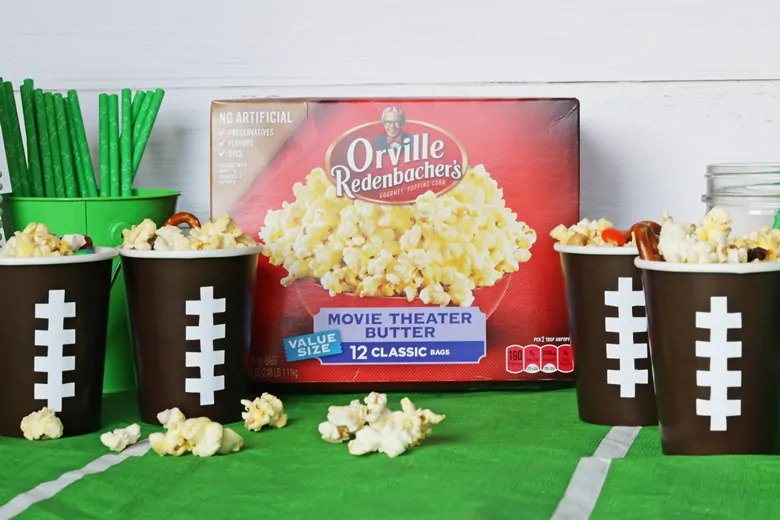 Either way, this 2-minute sweet and salty snack mix, made with delicious Orville Redenbacher's® Movie Theater Butter Popcorn, is the perfect game day snack. 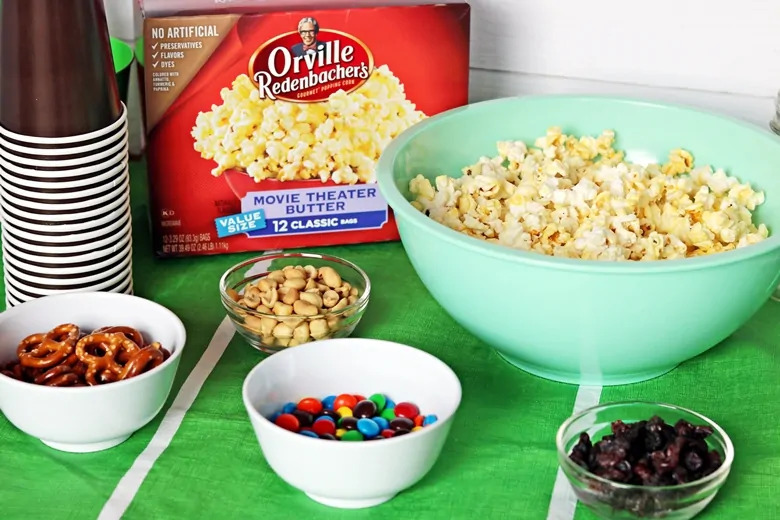 My family loves snacking on popcorn while watching the game, and I love how quick and easy it is to prepare. 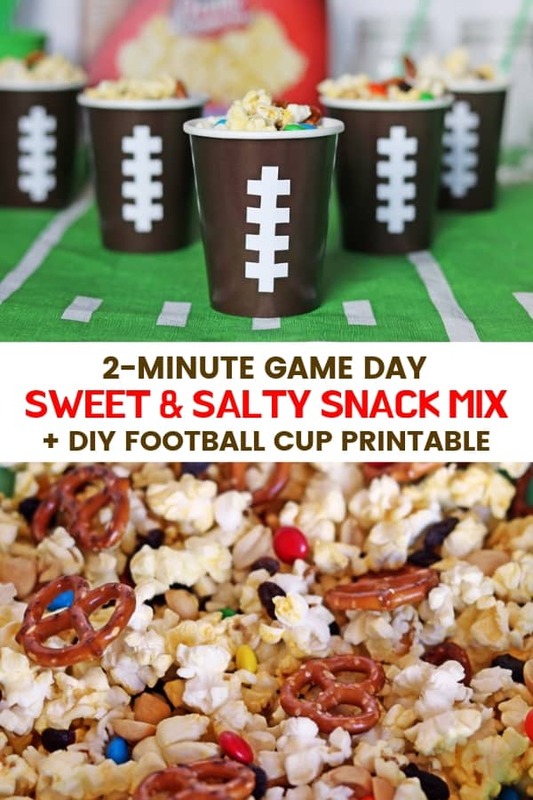 With this easy game mix I can make them something special to snack on, while not missing more than 2 minutes of the game myself. That's what I call a win! I have found that the best snack mix starts with the best popcorn. 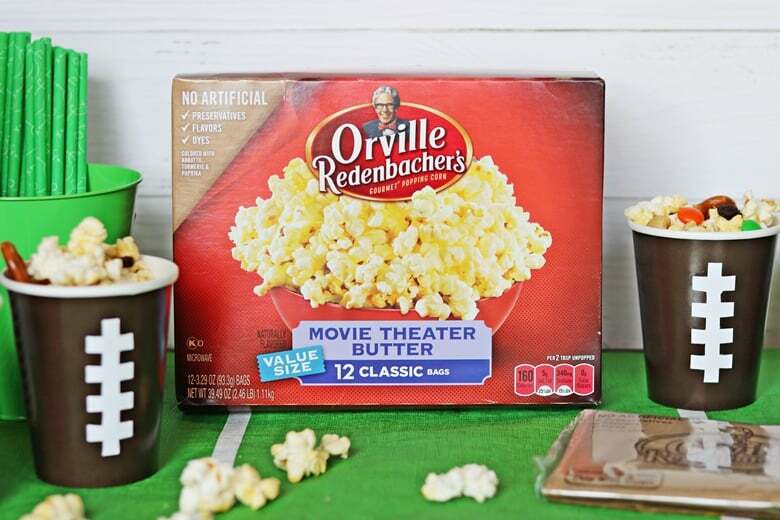 Made with real butter, and without any artificial preservatives, flavors, or dyes, Orville Redenbacher's Movie Theater Butter Popcorn is our #1 choice of popcorn. 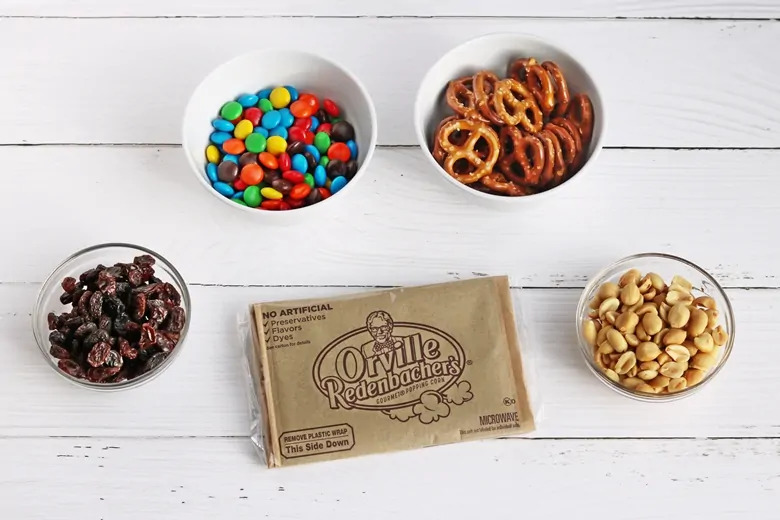 Did you know that Orville Redenbacher's popcorn is made from exclusive popcorn kernels that pop up lighter and fluffier than other popcorn kernels? I think it is those special kernels that make Orville Redenbacher's such a high quality popcorn. 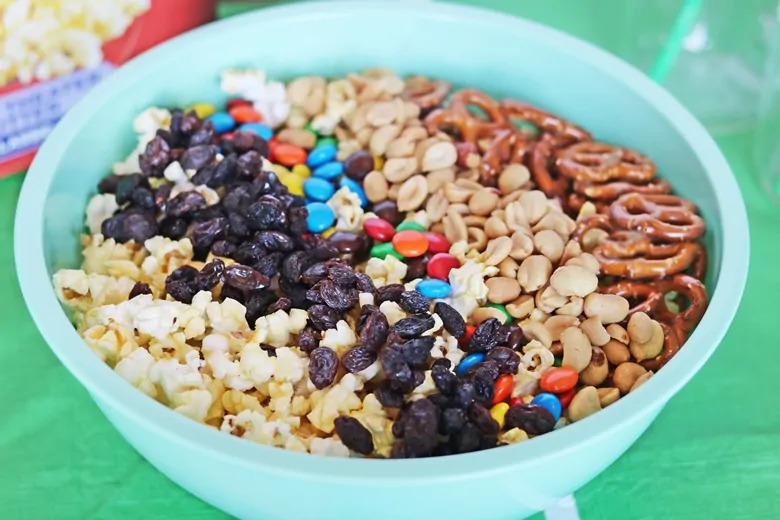 Making this sweet and salty snack mix is literally as easy as combining all the ingredients in a large bowl and tossing them gently to mix everything together. 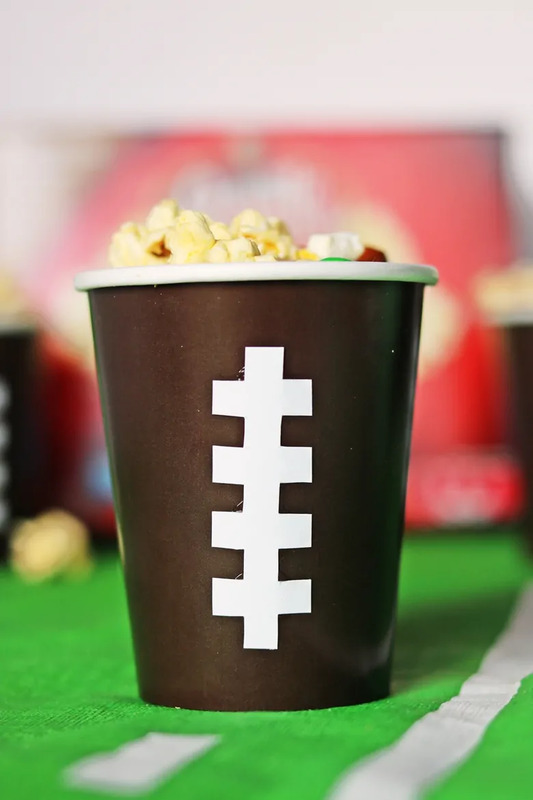 To celebrate the big game I wanted to do something a little bit special for my family and friends, so I decided to serve my sweet & salty snack mix in homemade football cups. Making these football cups is simple using the football stitching printable I have prepared. Download football stitching printable here and print on white cardstock (15 print per page). Allow glue to dry before using. 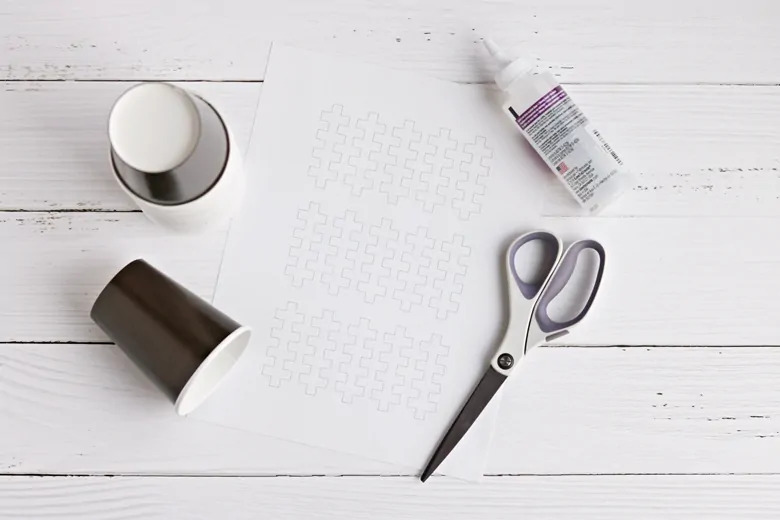 I suggest making the cups the night before so that the glue has time to dry fully. 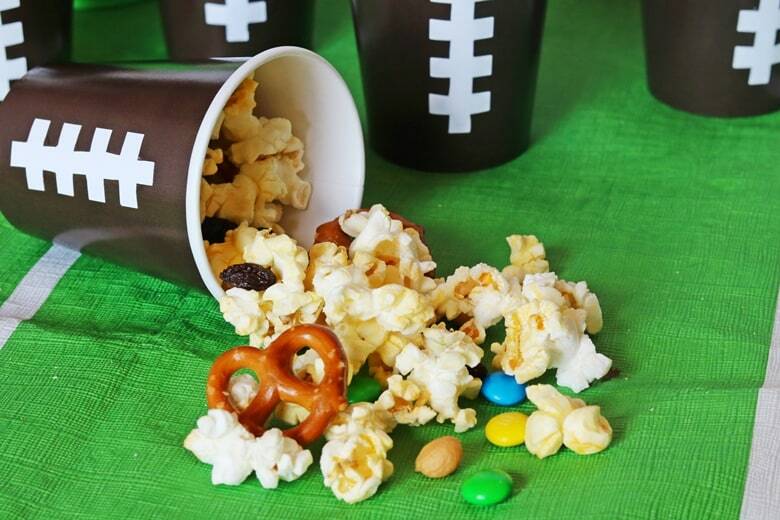 Aren't these homemade football cups perfect for serving snack mix in for the big game? 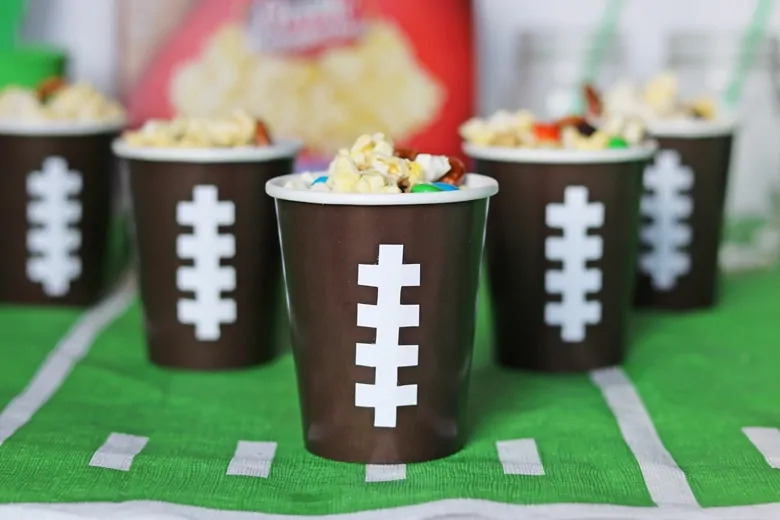 Make a cup for everyone at your big game party so everyone can have their own cup or snack mix to enjoy while watching the game. 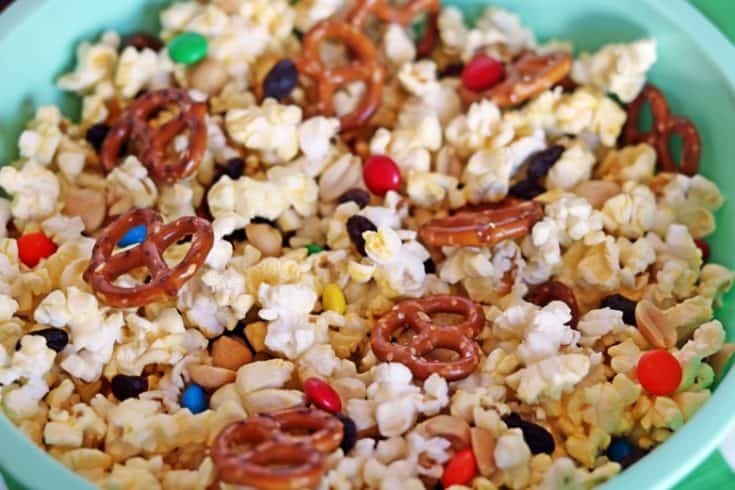 I hope that your family and friends enjoy this easy game day snack mix. 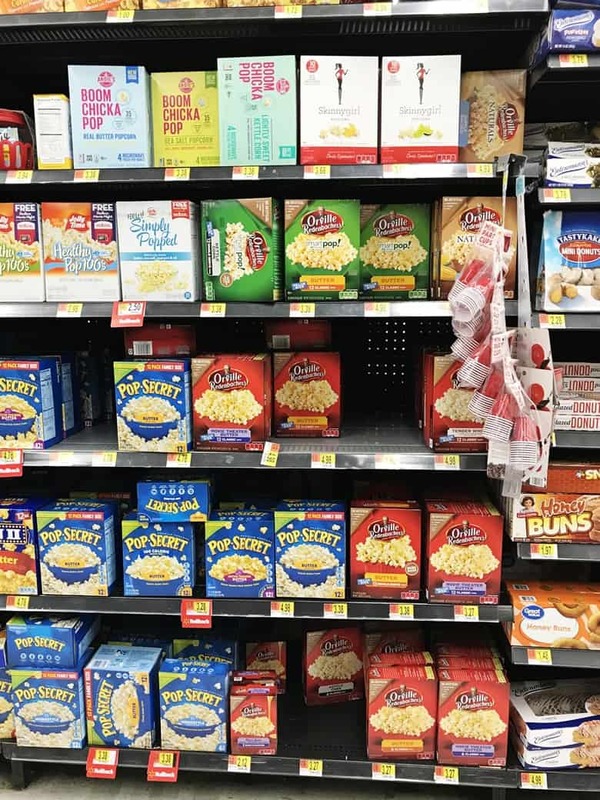 Find Orville Redenbacher's popcorn at Walmart, in the snack section. Find more inspiration for your game day party here. 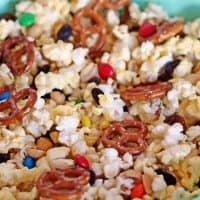 An easy no-bake sweet and salty snack mix made with popcorn, pretzels, raisins, chocolate, and peanuts. Toss ingredients together in a large bowl. Serve right in the bowl or portion into cups for individual servings. Feel free to adjust the amount of mix-ins according to your preferences. This recipe was shared over at Meal Plan Monday. Huuuum I’m starting to see game day recipes! My favorite! We always have parties, so these recipes are perfect.